Domino’s pizza lovers can now “tweet-to-order” their favorite pies. Starting today, Domino’s customers will be able to order pizza via Twitter. With this new Easy Order system, Domino’s has become the first major brand in the restaurant industry to set up a permanent system on Twitter to place and complete an order. They are following in the footsteps of a number of other brands that are increasingly using social media to ease and expedite e-commerce. 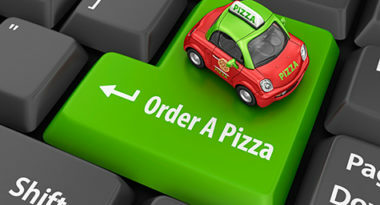 Huffingtonpost.com posted more on how Domino’s and other brands are reaching for a slice of social e-commerce. Domino’s announced this new ordering option by filling up its Twitter feed with countless pizza emojis. When people asked about these symbols, they received a reply of pizza emojis. While this surprised some people at first, Domino’s was simply showing how simple it was to use their Easy Order option. To use this new social media ordering system, people first need to register their Twitter handle on their Domino’s Pizza Profile. When they want a pizza, they can just tweet #EasyOrder or the pizza emoji to the Domino’s Twitter handle. Domino’s will send a direct message to verify their Easy Order, as well as save it in their Profile, and the pizza will be on its way. Domino’s is the first food brand to take a bite out of social e-commerce, but more and more brands in other industries are offering up this type of transaction. For instance, the hospitality industry is dominated by online transactions and the new Facebook Messenger is enabling easier hotel bookings through its social media app. Now that Domino’s has gotten involved with e-commerce on social media, other restaurants brands are sure to follow to take their piece of the e-commerce pie. Leverage powerful social media strategies to raise your e-commerce revenue. Contact MDG Advertising.